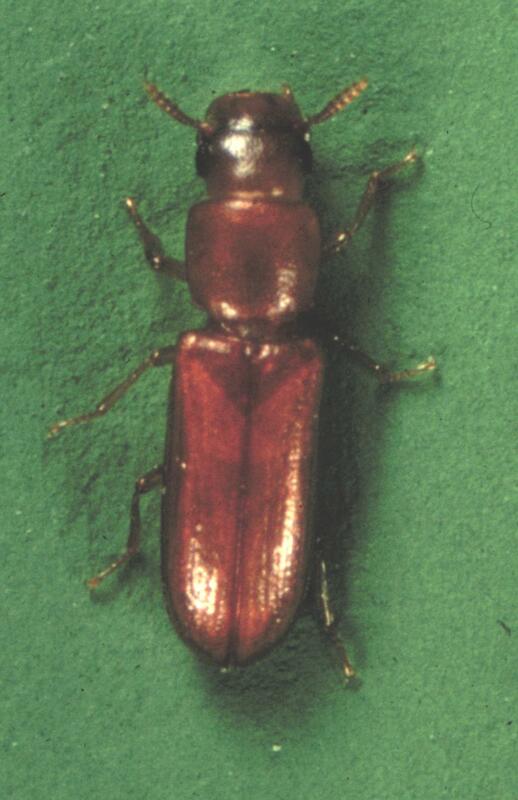 The Longheaded Flour Beetle is a pest of grain products in tropical and sub-tropical regions of the world. It is a small yellowish brown beetle with flat slender body with parallel sides. The antennae are short with a five segment club on the end. In the temperate climatic zones in Australia, the beetle tends to inhabit heated premises. The female lays about 300 eggs in her life. The eggs are sticky and adhere to flour or grain particles. 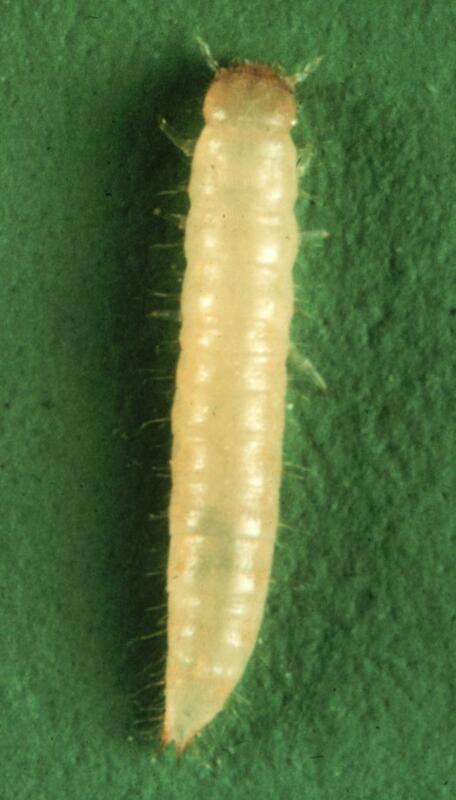 The larvae are cylindrical and white and develop through 6 or 7 instars. The larva pupates amongst the food source in a white pupa. Adults live up to six months.